Victor Papanek's "Design for the Real World: Human Ecology and Social Change" talks about how designer's decisions within their work effect social and environmental factors. 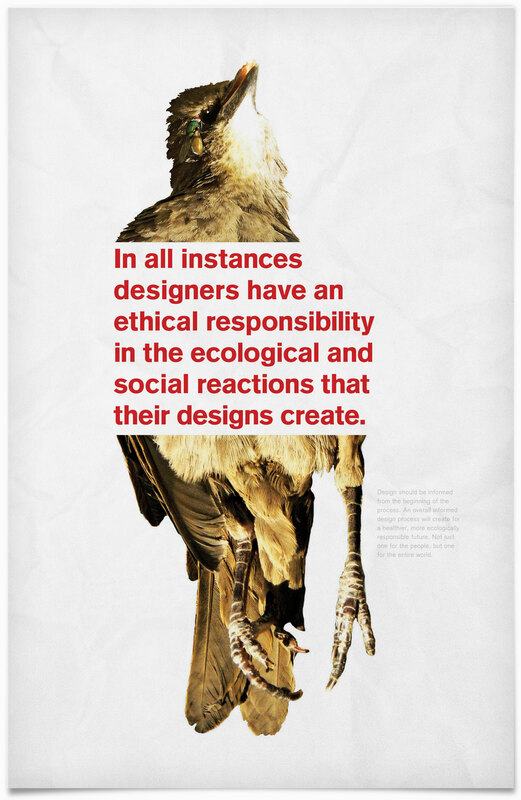 This poster was created as a form of reflection on the book, and to make designers think about the social and environmental impact that their design work could have on the world. 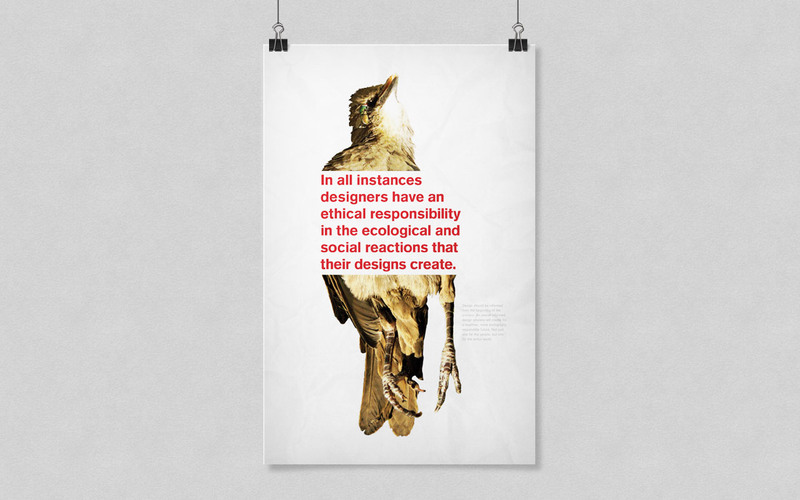 The poster utilizes two statements that are meant to make a designer of any kind think about the outcomes that may occur from their design choices.